Being the premier qualified electricians in Wolverhampton, Excel Electrical Contractors are the first choice for electrical installations and fittings in the region. Delivering a friendly service to the highest industry standards, you can rely on us to supply the best internal and external electrical fittings and fixtures. With Autumn here, now is the time to ensure your lighting, security and sockets are all ready for the season ahead. The evenings are drawing in and the mornings are remaining darker for longer. Venturing further into Autumn, this places a greater need for a reliable electrical infrastructure, lighting and security. Homes and businesses can benefit from external lights. Either triggered by motion sensors, controlled by timers, or something that is manually operated. External lighting can deter potential intruders and increase safety on your premises. Industrial buildings such as factories and warehouses, retail outlets, farms and sports grounds have all benefited from having flood lights and security lights. The same principle applies to homeowners and land lords looking to add outdoor lighting to homes and apartments. Security can be bolstered by having CCTV installed, too. 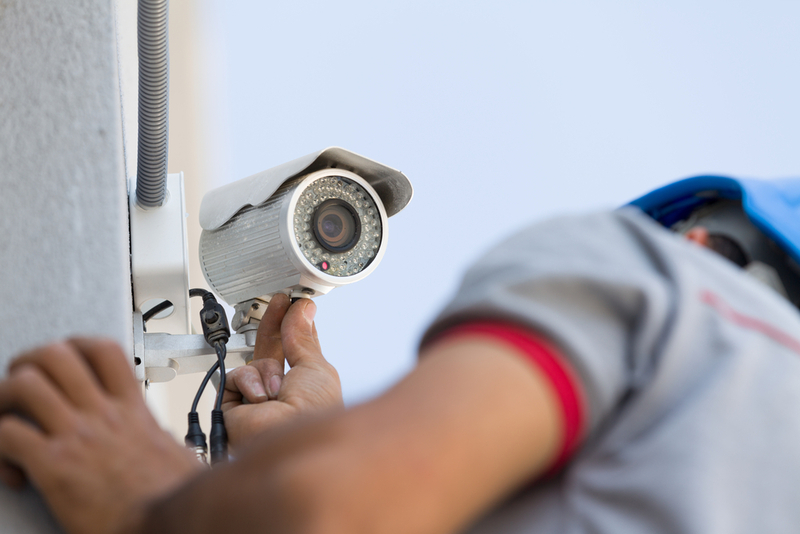 Being able to monitor who is visiting your business or home and being able to keep an eye on the site out of hours is a valuable investment and a powerful weapon against crime. You should never cut corners when it comes to anything electrical. Make sure you hire the services of fully qualified professional electricians in Wolverhampton. Excel Electrical Contractors are NICEIC accredited, they practice to the highest standards to ensure safety and quality of the work undertaken. This also includes insurance, something which an unregistered electrician may not have, which is not worth the risk. For advice on lighting and security installations in and around Wolverhampton, please contact us.